Today, Amazon Business is proud to serve millions of business customers and hundreds of thousands of business sellers around the world with more than $10 billion in annualized sales. In the US alone, Amazon Business serves nearly 80% of the 100 largest enrollment education organizations, 55 of the Fortune 100 companies, more than half of the 100 biggest hospital systems and more than 40% of the 100 most populous local governments. 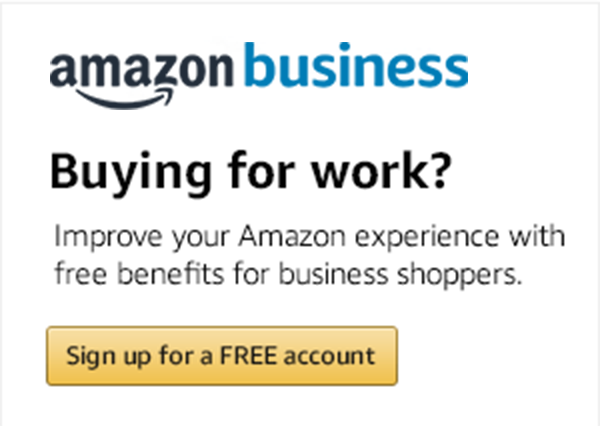 Amazon Business also offers access to nearly 150,000 US business sellers – hundreds of thousands globally - and hundreds of millions of products. Breadth of Customers: Our customers range from sole proprietors to large enterprises with tens of thousands of employees on a single account. We serve millions of businesses worldwide, including hospitals, universities, Fortune 50 companies, government agencies, daycares, restaurants, and more. International Expansion: This year, we expanded our global marketplace to France, Italy and Spain. With these additions, Amazon Business is now live in eight countries, including the United States, Germany, United Kingdom, Japan and India. Companies can easily manage their procurement needs and purchase supplies locally where Amazon Business is available. Sellers have the opportunity to grow their businesses by reaching new customers across these eight countries, from small companies to multi-national organizations. Innovation: We continuously innovate on behalf of customers. In the last year, we announced several updates and features aimed at bringing more transparency into the procurement process, including Business Prime Shipping, Curation, and Workflow Approvals. We are able to integrate directly into e-procurement systems and create intuitive buying experiences. Growth of Third Party Sellers: Amazon Business offers a marketplace designed to bring suppliers to customers, and customers to suppliers. Our focus is on improving suppliers’ ability to reach more customers, and to make it easier for customers to buy from suppliers. Wholesale suppliers and distributors are just as much our customer as the end buyer. Today, our third party sellers make up more than 50% of the $10 billion in global sales, allowing customers to find and purchase from new suppliers they might not have discovered. With Seller Credentials, customers can also meet purchasing needs with local, minority, and women-owned businesses. Year after year, our biggest learnings come directly from customer and seller feedback. Looking ahead, we remain focused on innovation on their behalf, to deliver features they need to be successful. It is still day one for us, and we’re excited about what’s to come. Learn more about selling on Amazon Business.